Meet Alexa, the intelligent personal assistant that has been created by Amazon and is the brain behind ‘Amazon Echo’ and ‘Echo Dot’. Alexa is almost like an omniscient being, you can ask it near enough anything and there will be an answer. Alexa has amazing features, and is currently challenging Google Assistant. Below is a breakdown of what Alexa can do, so you can decide which is best: Amazon Alexa or Google Assistant. Need an extra hand around the house? By using Alexa, it feels like you have another helper in the house who is there to serve you. If your dinner needs to come out of the oven in 20 minutes, tell Alexa to set an alarm so you don’t forget about it. If you need to do something else before the alarm goes off but worried you don’t have enough time, ask how much time is left. Think your meal needs an extra five minutes to crisp? Tell Alexa, snooze. You can use Alexa’s Recipedia skill if you’re not too sure what to cook for dinner, or if you can’t be bothered to cook, use the JUST EAT skill to get a takeaway delivered straight to your door. Alexa can also help you when shopping. When you’re going around the kitchen and you see that you need more milk, tell Alexa to add that to your shopping list so it can remind you what you need when you’re at the shops. It can remind you of important dates from your calendar, so you never have to forget another birthday or anniversary again. To be honest, if you have a brain like a sieve, Alexa is a lifesaver. Assuming you have Alexa compatible technology, you can tell it to turn off the lights if you’re cozy in bed, or tell it to set the living room to a certain temperature. You can listen to music from services like Amazon Music, Pandora, TuneIn, iHeartRadio and Spotify premium. If you are an Amazon Prime member, you already have access to the millions of songs, so you can tell Alexa to play music by genre, the kind of mood you’re in, or the era. Tell Alexa to: play songs from Bon Jovi, play the song that goes *insert singing here*, play the best pop songs of the 00’s or to turn it up. If you’re more of a book worm, then you can tell Alexa to read books from Audible, to go back a bit, or to stop reading after a certain time. Alexa can also read your Kindle books aloud. If that isn’t enough to keep you entertained, then you can tell Alexa to play any of the 100,000 radio stations on TuneIn or tell it to play a podcast. Get Alexa to help out during game night by telling it to pick a card, roll a dice or to flip a coin. Alexa can tell you a joke, a riddle and can rap for you if you so desire. Open the RuneScape skill or the Beat the Into skill, Alexa is great at guessing games. Some additional features are that Alexa can use the Sleep and Relaxation Sounds Skill to play a range of 40 soothing ambient sounds to listen to, to hopefully calm your mind. Or use the International Space Station Pass Times Skill to find the perfect time to see the International Space Station. Lastly, if you’re stuck on what to listen to on the way home from work, you can ask Alexa to ask Radioplayer what station they would recommend. 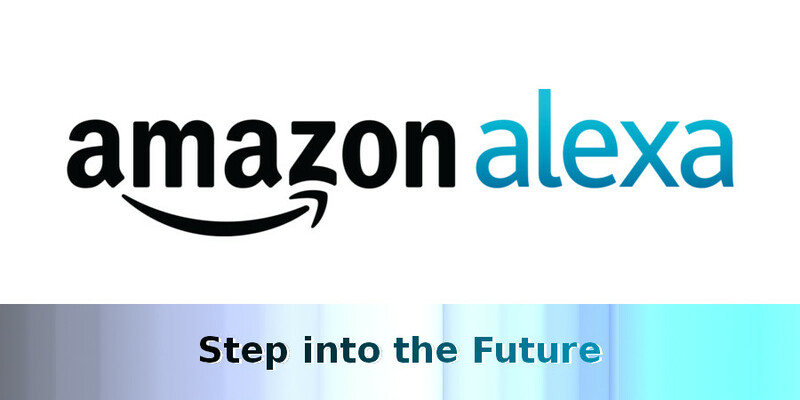 Above are explanations of some of the many features that Alexa has to offer you, Amazon has worked hard to provide you with this amazing piece of technology. By having Alexa, it’s like you have someone by your side ready to aid you in anyway it can.